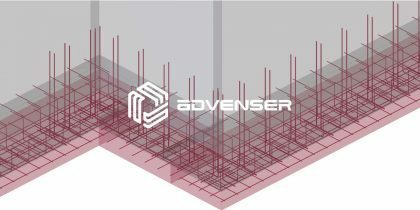 Advenser LLC has been the trusted partner to the AEC industry throughout the last decade. The crew of dedicated and expert engineers at our disposal makes us the consistent resource for rebar detailing requirements. We have an in-house crew of engineers with 8+ years of experience with extensive technical know-how in Rebar. This highly skilled and efficient workforce enables Advenser to handle 2,500 tons of rebar per month. Over the last decade, we have had a satisfied clientele of structural engineers, rebar fabricators, steel erectors, detailers, general contractors, concrete contractors, and designers. We have a team of 100+ detailers, spearheaded by senior project managers, technical managers, and senior draftsmen. This adequate and efficient manpower available with us enables us to commit to a plethora of projects such as commercial structures, industrial structures, parking garages, bridges, high-rise & low-rise buildings. Formulation of project teams at Advenser is not done by the choice of random selection, rather it is a streamlined process based on proven methodologies. Every team of engineers is chosen based on the complexity and volume of the project. We ensure that we finish projects irrespective of its complexity and size in the most efficient manner. It is our objective in every project we handle, to surpass client satisfaction in terms of both quality and turnaround time. Which is why we incorporate the state of the art software packages such as RebarCAD, Shear97 & MS-Excel, AutoCAD, Revit, Auto Rebar, RCCAD, Applied System Associates (ASA) – ASA Cad/Detailing and estimating software, and Tekla Structures. 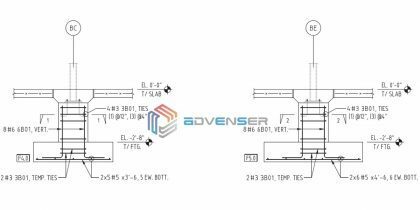 Every team at Advenser is headed by a team of senior draftsmen and a project manager who closely monitors the model at every stage of the design phase to ensure that strict adherence to quality is met. The recurring clientele we have speaks for the trust and reliability we have built among our customers. What do we do as a rebar detailer? We as a renowned rebar detailer, focus on handling rebar detailing for medium as well as large civil engineering projects. These projects includes include huge foundations, stadiums, elevated railway structures, superstructures for bridges, school buildings, public buildings, high-rise buildings, shopping malls, marine structures, auditoriums, hospitals, treatment plants, parking garages, walls, slabs, stairs, and canopies.